This book is intended to help social scientists make sense of the fact that our relation to the world is one of concern. The concern needn’t take the form of worry; it may be just caring about our well-being and how the people and things that matter to us are faring. It’s an evaluative relation to the world. It’s tempting to think of people just as rational beings. But a one-sided emphasis on that special capacity fails to take us far in understanding our concerns. We are vulnerable particularly to how others treat us. At every moment we are moving from current states of flourishing or suffering, to possible future ones—from avoiding lack or deficiency, to finding satisfaction, interest and fulfillment. Even if things are OK now, they may change in the future. We are also deeply social beings: dependent on the care of others in early life and in illness and infirmity; only able to develop a sense of self and acquire a language and identity via others; dependent on the valuations of others to develop self-respect and esteem. We become attached to certain people, activities and causes, so that our well-being becomes inseparable from theirs. Although those attachments may help us flourish, we become vulnerable to their loss. Hence our concerns. To flourish, we have to monitor, evaluate and look after such things. 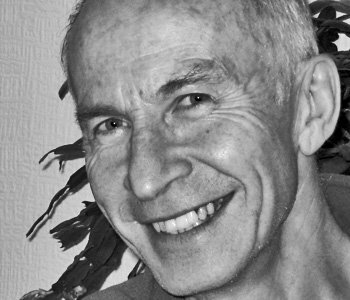 Flourishing is not just about physical health, or avoiding violence, but being able to develop and exercise our capacities, and this depends on opportunities to develop good relations to others and to form commitments—to our families, or work, or music, or sport or religion, or whatever. Suffering can be caused not just by physical harm, but by preventing people from pursuing their commitments—for example, stopping a religious person worshipping. Yet modern ways of thinking encourage the common but extraordinary belief that values are beyond reason—just subjective inventions having nothing to do with evaluations of circumstances. When a social worker claims a child is suffering from neglect or abuse, she is not merely expressing a personal “value-judgment,” but putting forward a factual claim about the child. When our doctor takes our blood pressure and gives us the numbers, we ask whether it’s good or bad; and when she tells us which, we don’t dismiss this as a gratuitous value-judgment having nothing to do with the facts of the case, but precisely a fuller account of precisely that—our state of being. Such claims escape any dichotomy of fact and value. If you don’t know that suffering is bad, you don’t know what it is. 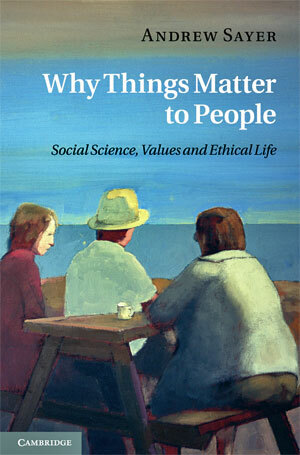 Why Things Matter to People follows through the implications of these qualities for the nature of values, for how we reason about what to do, for everyday morality and dignity, and for how we should study society.